I have been asked repeatedly in recent weeks why I chose to buy the Globe. A few have posed the question in a tone of incredulity, as in, “Why would anyone purchase a newspaper these days?” But for the most part, people have offered their thanks and best wishes with a great deal of warmth. A number of civic and business leaders have also offered their help. I didn’t expect any of these reactions, but I should have. Over the past two months I have learned just how deeply New Englanders value the Globe. It is the eyes and ears of the region in some ways, the heartbeat in many others. It is the gathering point not just for news and information, but for opinion, discussion, and ideas. I invested in the Globe because I believe deeply in the future of this great community, and the Globe should play a vital role in determining that future. I invested in the Globe because it is one of the best and most important news organizations in the world. We saw this vividly in the days and weeks after the tragic Boston Marathon bombings, and we also see it in many other ways every day. I didn’t get involved out of impulse. I began analyzing the plight of major American newspapers back in 2009, during the throes of the recession, when the Globe’s parent company, the New York Times Company, considered shutting down the paper. As I studied the problems that beset the newspaper industry, I discovered a maddening irony: The Boston Globe, through the paper and its website, had more readers than at any time in its history. But journalism’s business model had become fundamentally flawed. Readers were flocking from the papers to the Internet, consuming expensive journalism for free. On the advertising front, print dollars were giving way to digital dimes. I decided that the challenges were too difficult, so I moved on. Or, I should say, I tried to move on. I couldn’t shake off what I had come to admire about the Globe. I grew to believe that New England is a better place with a healthy, vibrant Globe. When the Times put the Globe up for sale this winter, I resumed my studies. I soon realized that one of the key things the paper needed in order to prosper was private, local ownership, passionate about its mission. And so decisions about The Boston Globe are now being made here in Boston. The obligation is now to readers and local residents, not to distant shareholders. This, ideally, will foster even bolder and more creative thinking throughout the organization, which is critical in an industry under so much stress. I’m in this to make a difference, just like most of the people I have met in journalism. I have been driven by causes in almost every major endeavor in my life, beginning when I was a 16-year-old in Southern California where I wrote and published my own newspaper. Martin Luther King and Robert F. Kennedy were assassinated during my first year of college. That summer, like so many other idealistic 18-year-olds, I offered my services to the upstart presidential campaign of Senator Eugene J. McCarthy. I was assigned a difficult area for the senator — the South, where my father had a farm. I represented the senator at a meeting in Atlanta for the Coalition for an Open Convention. Chicago Mayor Richard Daley sent a telegram vowing a potential bloodbath if we bused in demonstrators to the Democratic National Convention, where Senator Hubert Humphrey was believed to have the nomination locked up. We simply weren’t going to be quiet. It was heady stuff for a farmer’s kid just out of school. I strategized with civil rights leaders like Julian Bond and Allard K. Lowenstein, and played chess each evening with the charismatic Hosea Williams. By the time I reached Chicago that summer, I was a civil rights activist as much as a McCarthy operative. Nevertheless, that convention, violent and demoralizing, disabused me of the notion that idealism was more important than hard and sometimes tedious work in pursuit of the right results. I retreated, literally and figuratively, back into what most of my friends thought was my primary talent at the time — writing and performing rock music. But over time, my love of philosophy, combined with my passion for baseball statistics, provided the foundation for a far different kind of mission: understanding investment markets objectively. I made enough money in my commodity trading business to pursue my dream of owning a professional baseball team. I arrived in baseball in 1989, became a partner in the New York Yankees in 1991, and bought the Florida Marlins in 1999. In 2002, I was fortunate enough to join with Tom Werner, Larry Lucchino, and local partners to acquire the Boston Red Sox. With the Red Sox came the most compelling cause in baseball. I knew I would wake up every morning to responsibilities that mattered to millions of passionate Sox fans — to end a dry spell of eight-plus decades without the joys of a World Series championship. The Red Sox provided a strong connection — between neighbors, family members, co-workers, and generations. And who wouldn’t go to work at Fenway Park if they had the opportunity! 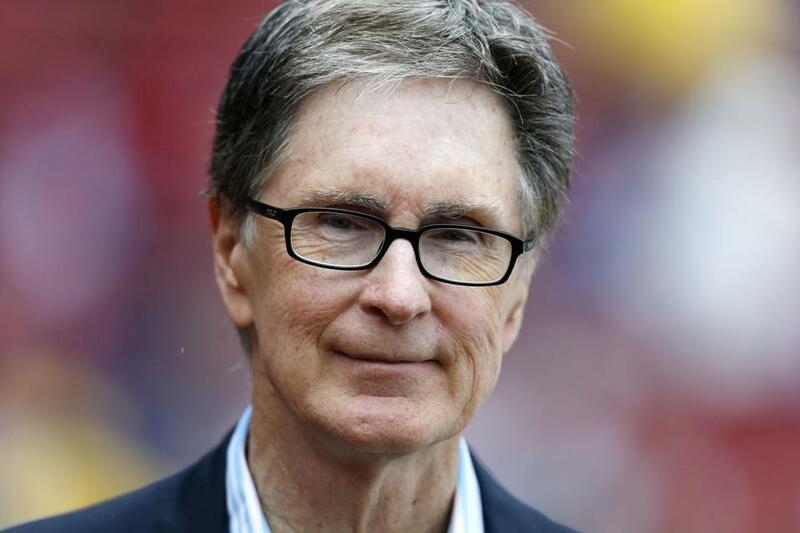 When we acquired the Red Sox, profit was literally at the bottom of our list of goals. We were determined to do whatever it took to win. Now I see The Boston Globe and all that it represents as another great Boston institution that is worth fighting for. There isn’t a clear financial model for the news business in the future. Thus, some people have expressed puzzlement about this investment because they expect that the purchase of a business is based on the pursuit of profit. But this investment isn’t about profit at all. It’s about sustainability. Any great paper, the Globe included, must generate enough revenue to support its vital mission. Put another way, the future of vibrant journalism — trustworthy news coverage, informed opinion, and fearless accountability reporting — is dependent on solving tough financial issues. This is a bit of an irony, because I haven’t met anyone in the business whose main reason for being there is to make money. My every intention is to push the kind of boldness and investment that will make the Globe a laboratory for major newspapers across the country. We already have the great fortune to have incredible allies in the Nieman Journalism Lab and the Shorenstein Center at Harvard, as well as the MIT Media Lab. Greater Boston is a hive of technologists and writers, all of whom can contribute to the creation of a compelling newspaper for the future. And the Globe is fortunate to be in New England, a region filled with smart, engaged people who have a unique appreciation for the written word. Make no mistake: The Boston Globe will survive. There is too much talent at the paper, too much passion among its readers and advertisers, too glorious a history, and too great a need for its journalism, to ever think otherwise. Back when I was an idealistic 18-year-old on my way to Chicago, I might have believed that being on the side of virtue would guarantee a good outcome. These many years later, I know better. We will succeed, but it will take long hours, creative thinking, and hard work ahead. Since Aug. 3 I have been meeting with the people of The Boston Globe to define our mission at the beginning of our journey together. This much is clear: The overriding mission of The Boston Globe will be to ensure that its readers are getting news they can trust. The Globe will place its emphasis on hard-hitting, investigative accountability that readers can rely on. Not only will the Globe seek to hold people and institutions accountable for their actions, we will hold ourselves accountable for fairness, balance, and fact-checking. Today, reliable information has never been more valuable. A newspaper needs to provide the breadth of perspective and diligent analysis that gets to the heart of what is going on in our world. The Globe will never be the prisoner of any ideology or political agenda. Our enterprise reporting will shed new light on important issues of the day, with intellectual honesty and discipline. We will provide our readers with the assurance that if they read the Globe, they will know that time, effort, and thought were put into each and every report. A major job of the Globe will be to determine not only what news will be of interest to its readers, but what news should be of interest. Every day, the Globe will have to earn the trust of readers who can’t possibly harvest all the information available across the spectrum; they have to be able to rely on the Globe, through all its platforms, to inform their lives in the areas they want and require. The print newspaper will be attractive and easier to navigate. So too will BostonGlobe.com, which will provide subscribers with news updates and fresh information throughout the day. More and more subscribers are visiting BostonGlobe.com every day, and hundreds of new digital subscribers are joining the paper every week. Our touchstones will not only be news you can trust, but also opinions that matter and inform. Boston.com will continue to be a free and independent portal exploring life in Boston in all its forms. From Kendall Square to the newly emerging center of Quincy; from Harvard to Berklee; from the TD Garden to Gillette Stadium, Boston.com will capture the vibrancy of a region on the move. Spot news and weather, entertainment, events, nightlife, trends, and public discussion — all will be available on a soon-to-be-redesigned site that will be as stimulating to look at as to read. You’ll find listings of free events, apartment rentals, real estate, cars, and tips on career advancement and placement. The goal of capturing Boston in all its expressions won’t be achieved at once. Boston.com, BostonGlobe.com, and future online sites will explore and innovate, providing new services and points of connection for people across the Boston area. We will provide what we will call the Globe Standard when it comes to curated links that will ensure our readers do not waste their time when they click on news, reviews, writers, columnists, ecommerce, events, opportunities, and social engagement from any of our platforms. The new-media landscape is chock full of opinions, from every Twitter account to Facebook page to political website. Yet there is often very little fresh thinking to find amid all this clutter. Providing meaningful points of view that matter to our lives, through our columnists and informed editorials, is a crucial part of the Globe’s mission. While trust is a cornerstone of news reporting, integrity is at the heart of opinion writing. Our Globe Standard will be what distinguishes us. In this era, it’s easy to attract an audience with a provocative opinion — especially a predictably partisan one, or an outrageous attack. The Globe’s primary mission is not to generate such an audience, but to inform its own audience. The Globe will be a paper of ideas in a city of ideas. Greater Boston is home to influential thinkers who work on subjects that matter greatly to people around the world — not just New England. Governments, policy makers, institutions, and activists look to Boston for answers and advice. Boston is where the brightest people in the world come together to work in close proximity to cure cancer and HIV, solve the toughest economic problems, create technologies that enhance life, work to free children from entrenched cycles of poverty, and create the finest educational systems in the world. It is a city of champions — those who champion what the world should look like a hundred years from now. It is also a metropolitan area where people take seriously the role of government in their lives. In seeking to solve its own problems, the Boston area serves as a model for the world. The Globe’s opinion pages are where Bostonians come to consider their own political choices, and to explore new ways to solve problems in their communities and beyond. The Globe will seek to be at the cutting edge of solutions, cures, accountability, and results. That means publishing important social, political, and financial treatises from liberal and conservative viewpoints. It means offering iconoclastic viewpoints on subjects that matter. Popular issues will be debated as well as narrower ones, local issues as well as national and foreign ones. We will never stop exploring new ideas — new approaches and thinking in regard to longstanding, previously unsolvable problems. If there is one thing I have learned in the world of business it is that just about everyone who predicts the future turns out to be wrong. The crystal balls of human beings are flawed because we live in an extremely dynamic world. So predictions about the future of newspapers are going to be wrong and I will not add to that. What I believe is this. TV didn’t put an end to movies or radio despite predictions to the contrary. And the free availability of news and classifieds will not put an end to newspapers. Newspapers are going to compete against an avalanche of information that should make reliability, trust, and hard work that much more valuable for audiences. Nevertheless, until revenues stabilize, newspaper resources will need to be allocated carefully, to build and sustain the economic foundations necessary to carry out the journalistic mission. I feel strongly that newspapers and their news sites are going to rely upon the support of subscribers to a large extent in order to provide what readers want. It is a newspaper’s responsibility to create enough value to cause readers to subscribe to their services and advertisers to advertise. The Globe must continue to be the best vehicle for businesses to reach customers in the region. But to do so, it must maintain the kind of strong content that Boston Globe readers demand. I believe each of us has a role to play in this community. The Globe gives us a source of information on which to act, but today, great journalism can not only enlighten and inform, but also facilitate discussions through which people can come together and act. We as a society used to spend countless hours watching and sharing a limited amount of media mainly through television programs. Ironically, we now have increasingly significant social isolation and alienation as a byproduct of the rise of social media tools that overwhelm young people. These tools need to be designed to provide for more maturity, restraint, and responsibility. Ironically, we also seem to no longer have any time because of time-saving devices. As a parent, I see kids completely immersed in Twitter, Facebook, Instagram, and messaging. One of the attractions of summers at Fenway Park is seeing families actually sitting together and conversing for three hours rather than sitting in different worlds at home. We live with what the writer and thinker Clay Shirky has identified as a “cognitive surplus.” We need ways to move from consumption to activation. The Globe can be a catalyst for activism across a broad range of interests. The same technologies that breed loneliness in some contexts can provide opportunities for people to connect with one another meaningfully and make differences in each other’s lives. These differences don’t have to be earth-shattering to be of great significance. We live in a time in this region with terrific opportunities to lead. The Globe, BostonGlobe.com, Boston.com, and its related sites are ties that bind together a community that has a significant role to play. Together, these platforms can be your key to the city and to the hearts and minds of others in your community. It is up to the Globe and to you to be partners in the future of this region. Contribute through letters, comments, op-eds, events you want sponsored, advertisements, blogs, charities, and, most of all, ideas — this is a city of ideas. Contribute and all of us at The Boston Globe will fight alongside you for the role this community has to play in shaping the world our kids are going to inherit. Let us inspire them to want to follow the lead of our hearts, resolve, and accomplishments.